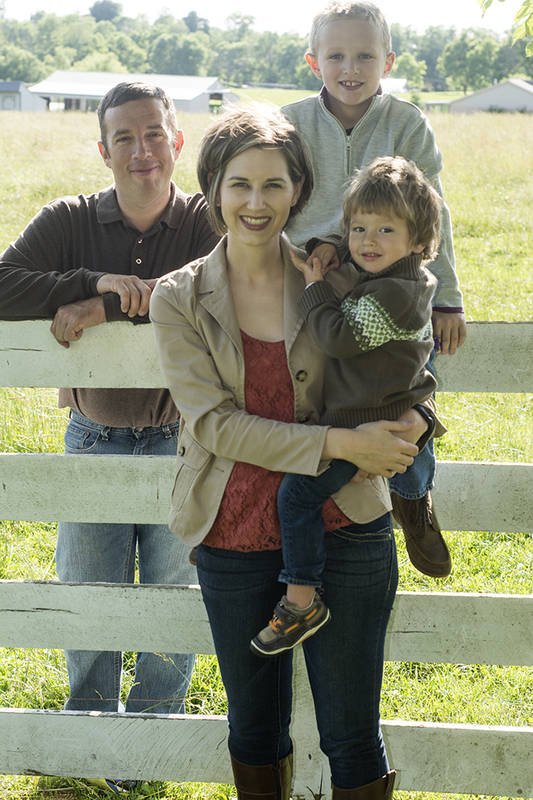 Rob and Kortney Ryan and their two sons, Lee and Jeremiah, live a full and fast-paced life in Shelby County. In addition to the demands of two full-time jobs, family life, and kids’ schooling and swim team every weekday, they also own 30 head of cattle and manage six rental properties. With their on-the-go lifestyle, you might expect that the Ryans would eat more than their fair share of fast food and pizza. What makes their family different, though, is the priority they place on healthy eating. Five years ago, the Ryans ate mostly convenience food. It was the easiest option when they were running every which way. But when Rob was diagnosed with high blood pressure, they knew that it was time to make changes in their diet. No more drive-thru meals. Less processed food. More protein, fruits, and vegetables. The challenge, Kortney says, was finding ways to make good food choices in the midst of their busy lives. That’s when they started batch cooking. “I’m not a big recipe person,” Kortney says. “I don’t really have time to pull out bowls, chop up a bunch of vegetables, and measure out a ton of spices.” Instead, she’s developed her own system for keeping her cooking simple and throwing meals together quickly. Because they eat a diet focused on protein, fruits, and vegetables, Kortney preps large quantities of meat when she finds spare time on the weekend. She depends heavily on her grill, she says, because it’s quick and easy and doesn’t create a lot of dirty dishes. Using pre-made spice mixes, she seasons chicken thighs, pork chops, hamburger patties, or shrimp — whatever was on sale that week at the store — and grills enough to last them three days. While the meat cooks, she makes a breakfast casserole; several potatoes for sides; or a pan of roasted vegetables. Every week is different and full of variety. 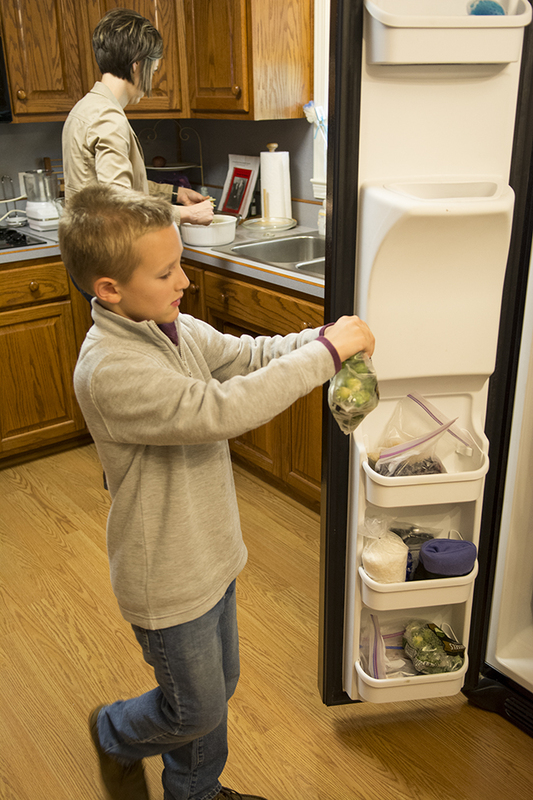 Lee helps prep for dinner by pulling from the family's frozen vegetable stash. Batch cooking and freezing food for later helps the Ryans save time in the evenings when there are sports practices and homework to be done. 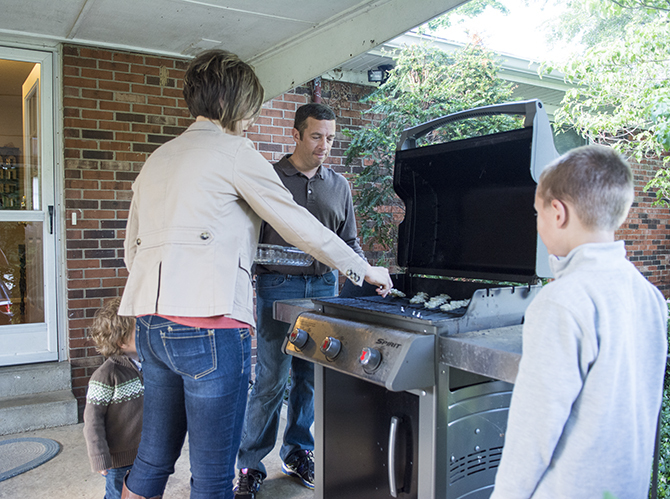 The Ryans use their grill often during the week because it's quick and dirties less dishes. The Ryans keep breakfasts simple with pre-made breakfast casseroles, yogurt, and fruit. When it comes time to eat dinner, Rob or Kortney — whoever is home at the time — warms up some of the grilled meat and fixes a simple side from their stash of frozen veggies, bagged salad, and baked potatoes. On a busy night when they’ve gotten home late from Lee’s swim practice and still have homework to fit in, a nutritious dinner can be served in 10 minutes. Mid-week, when they run out of already-prepared food, Rob does another round of batch cooking on the grill to carry them through the rest of the week. Even in the midst of busy lives, the Ryans prove it’s possible to fix simple yet nutritious meals. “Eating healthy doesn’t require a complex recipe or a crazy amount of time,” Kortney says. It just takes a little bit of planning and a spare hour or two on the weekend. 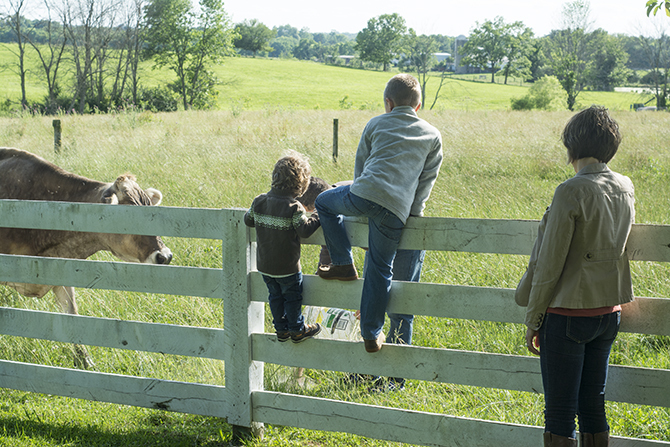 If they can do it with two full-time jobs, a cattle farm, six rental properties, and two kids, there’s hope for the rest of us, too. Rob and Kortney Ryan and sons Lee and Jeremiah live a busy life in Shelby County. Recipe courtesy of Melissa Joulwan (MelJoulwan.com), author of Well Fed: Paleo Recipes For People Who Love To Eat, Well Fed 2, and upcoming cookbook Well Fed Weeknights to be published November 1, 2016. In a small bowl, squeeze to extract the juice, then add the red pepper flakes, garlic, ginger, salt, black pepper, and cilantro. Mix well with a fork, then drizzle in the oil, stirring constantly. With a small, sharp knife, pierce the shrimp at the head end and carefully cut along the back toward the tail, removing the dark vein. Rinse in running water. Pat dry, then place the shrimp in a medium bowl and mix with the marinade. Cover tightly and refrigerate for 20 minutes. Preheat the gas grill on high heat with the lid closed, about 10 minutes. Thread the shrimp on skewers, leaving a little room between them so they don’t steam. Grill two or three minutes per side with the lid closed. The Ryans’ tip: Mix up a large batch of the seasoning blend minus the olive oil and freeze it in ice cube trays. When ready to prepare, pull out a cube or two of frozen seasoning, add the olive oil, put in the shrimp, cover and allow to thaw overnight in the fridge. That batch cooking of protein is what helps us as well. Great story.